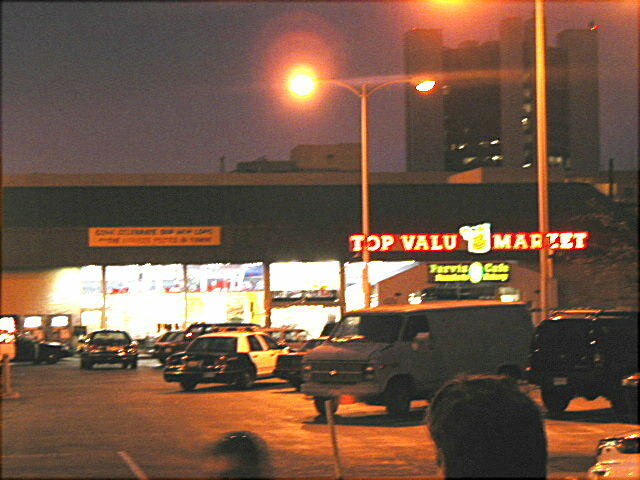 (May 30, 2002) -- A horrifying scene unfolded at roughly 5:30 p.m. today within walking distance of LB City Hall and fashionable Pine Ave., as a man armed with at least two guns walked into the Top Valu market at 5th St. and Pacific Ave. in the 1st Council district [note City Hall visible in background] and began shooting people. The result: an adult woman and a 7 year old girl were killed and four other people were left wounded (in stable condition as we post). With the gunman still armed and possibly still threatening, LBPD officers entered the deadly scene, confronted and shot the shooter. He was taken to a local hospital where he later died. Details are sketchy as we post. Police described the gunman as a white male, roughly 35 years old. Police said the gunman's motive is uncertain but as of early evening did not appear to be robbery. 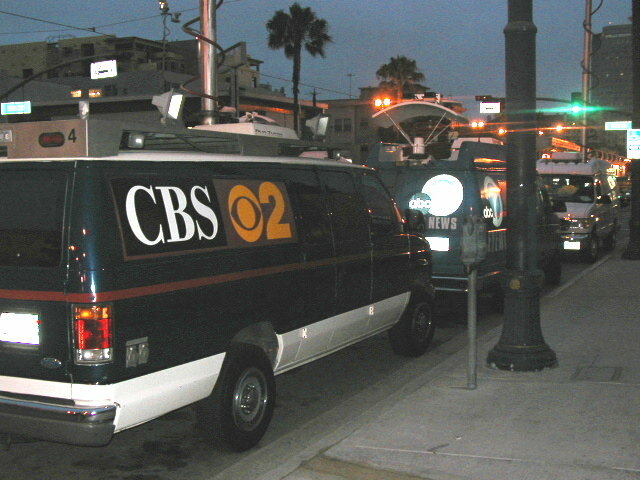 L.A. TV outlets converged on the scene and telecast reports carried in the evening's prime time newscasts. 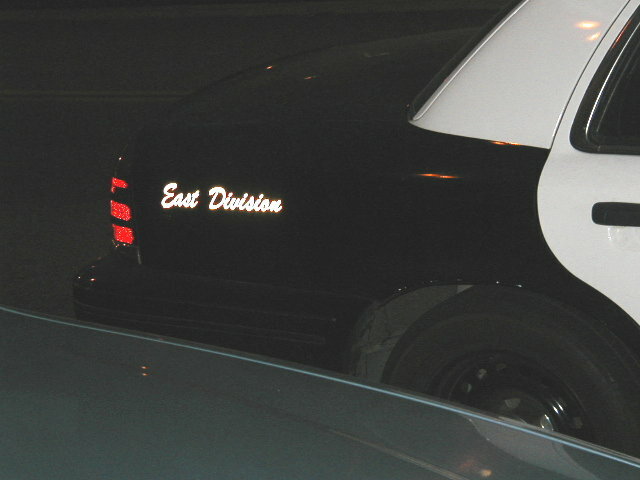 LBPD units were pulled from neighborhoods across the city. 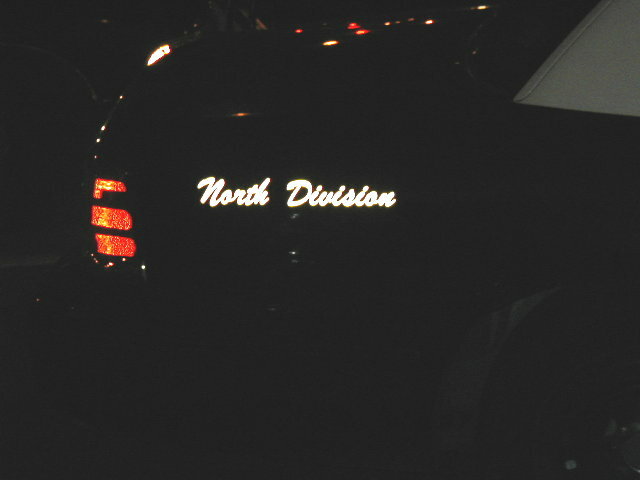 LBReport.com observed units from LB's East and North divisions along with South division units. 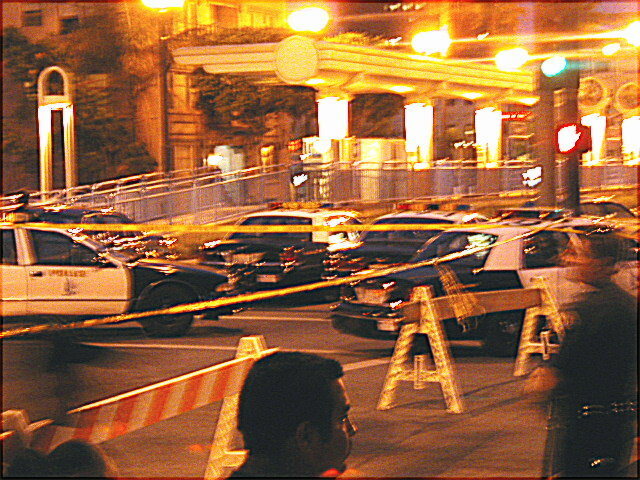 LB's thin citywide police level is the result of years of Mayor-forwarded, City Council approved budgets that have left LB taxpayers with fewer than 2.0 officers per thousand residents. By comparison, Signal Hill budgets roughly 3.0 officers per thousand residents and L.A. budgets over 2.0.